This website now has more than 8500 articles covering hundreds of topics within the origins debate. It is a massive online database of Genesis-supporting information. However, some surveys suggest that people (especially young people) are reading less. CMI’s desire is to equip all Christians with faith-building information, even those who prefer not to read. Hence the need for teaching videos. Thanks to Canadian supporters, beginning in early 2011 we completed construction of an HDTV production studio here at CMI-Canada in Kitchener designed to add video content to creation.com. This is in addition to the Canadian-produced TV show Creation Magazine Live!which is broadcast on TV internationally. Answers to common questions about Genesis, evolution and science. Video summaries of articles on creation.com. Interviews with scientists, theologians, Bible scholars, etc. 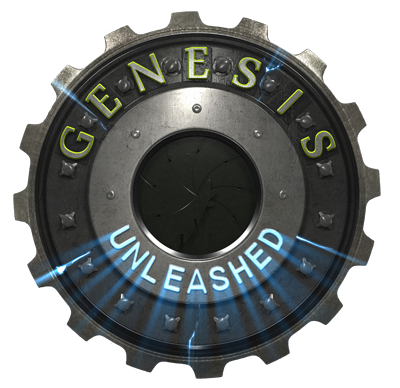 Later in 2013, look for a new type of format, Genesis Unleashed On Location. These episodes will combine studio commentary with ‘on location’ video explaining how the world around us confirms Biblical history. These programs are available free on the internet for people to share with anyone. Please pray that millions of people will have their faith strengthened by the videos produced here in Canada for creation.com. November 2012: Richard Fangrad and Calvin Smith thank donors for their support followed by bloopers from the first year of production.